The touring area is open from March to November. 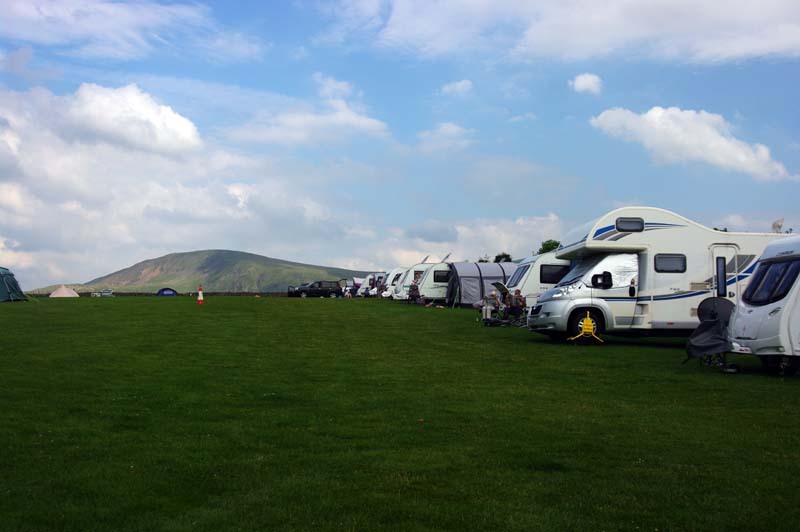 We always recommend that you book first to ensure you have a pitch and it is certainly necessary for Bank Holidays. You can make your booking over the phone on 017687 72479. 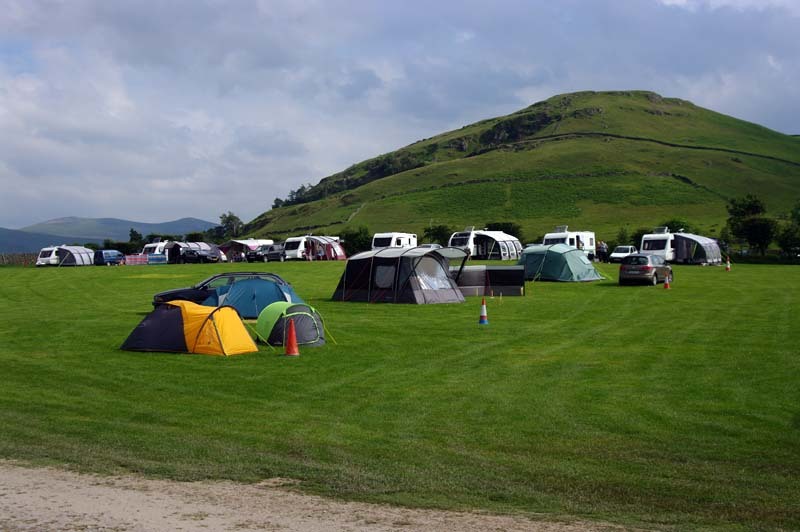 Our main touring van site is best described as ‘gently sloping’ so some pitches do require levelling blocks – the last photo on this page should give you an idea. 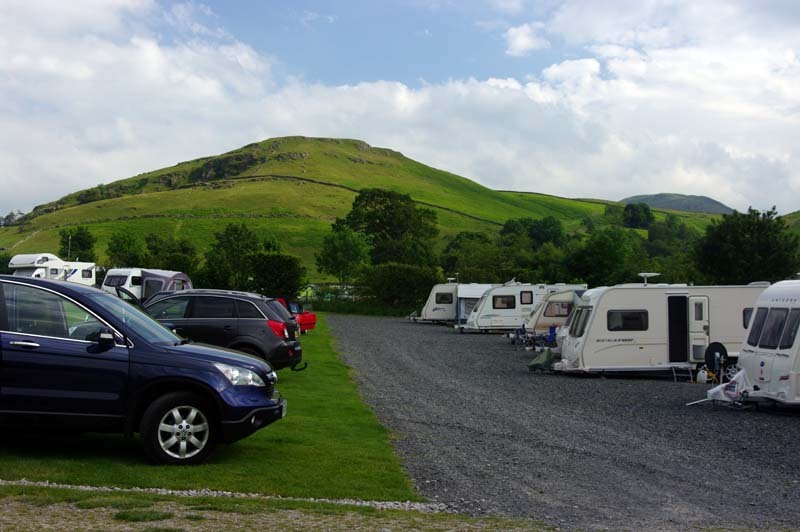 With such a well laid out site there is room enough for everyone and great views from just about everywhere. 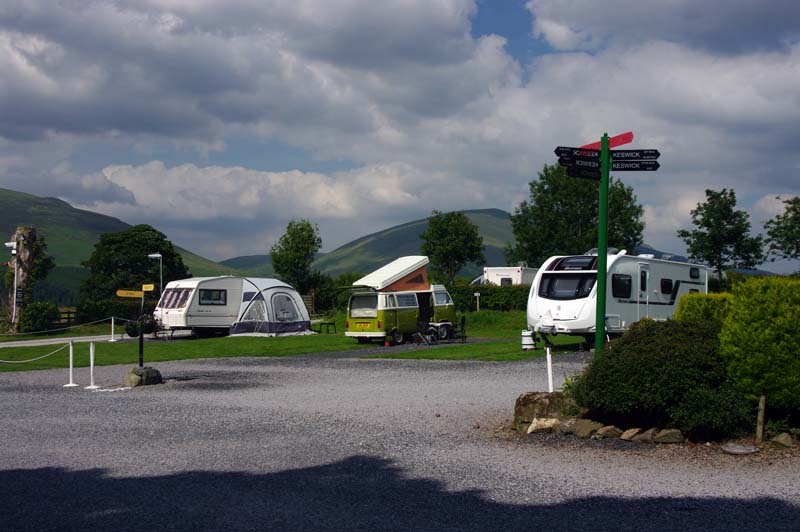 To avoid disappointment we can take reservations for caravan or motor home electric pitches on 017687 72479. For prices, terms and conditions see our Tariff page.